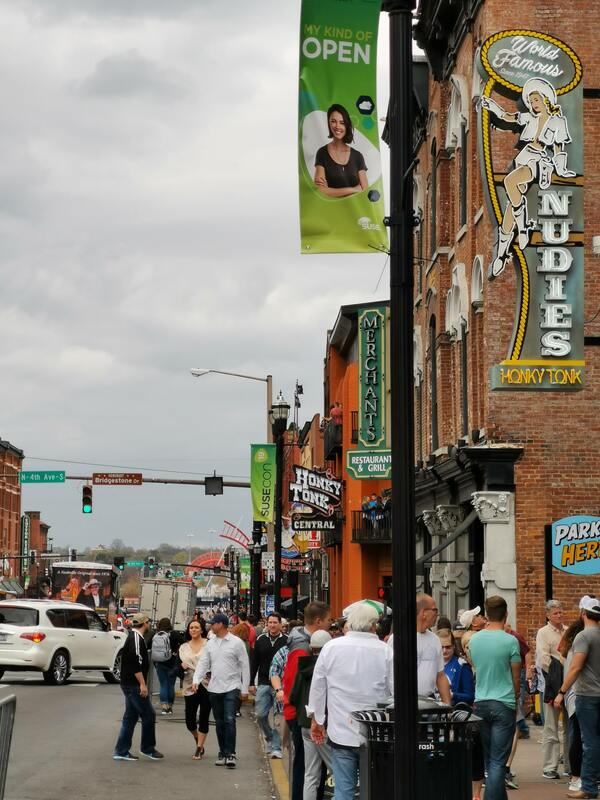 Last week, Nashville turned green as SUSECON took over the city. 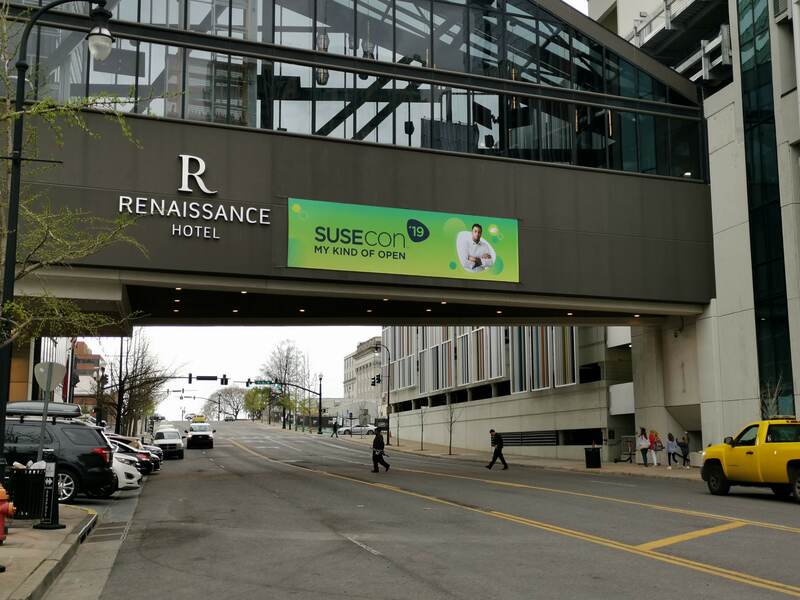 Lamp posts were festooned with SUSECON banners, attendees arriving at the airport couldn’t miss the SUSECON signage on the screens their either, and outside the Renaissance Hotel, it was obvious what was occurring inside. 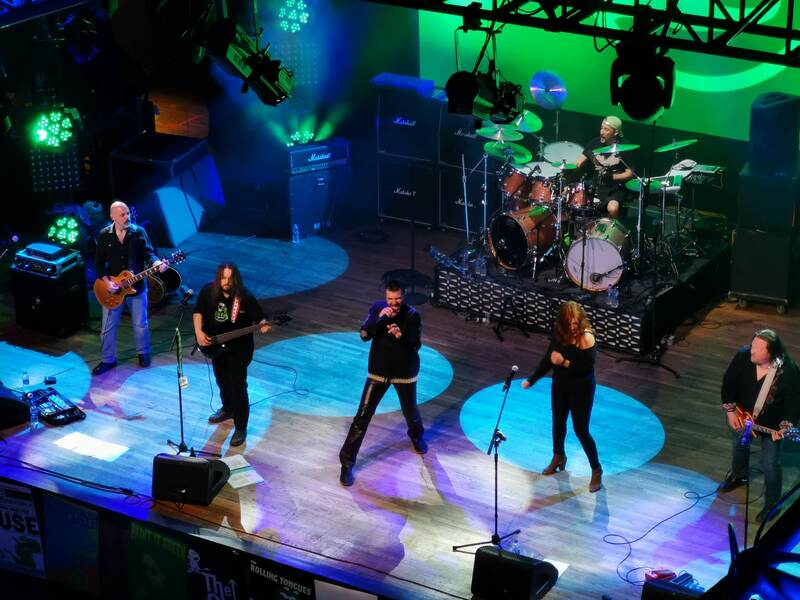 Bryan Adams, Jamiroquai and The Temptations all sang about Cloud Nine, but in Nashville, SUSE talked about it, pre-announcing the upcoming release of SUSE OpenStack Cloud 9. Our latest release is due to be available to download at the end of this month (April 2019), offering new features including a day two user interface to make post-deployment cloud operations easier, thereby improving business agility. While Joni Mitchell may have sung about clouds getting in the way, at SUSECON, we heard about public and private clouds making things easier for businesses around the world. Ranging from how to troubleshoot or upgrade your OpenStack clouds, to running SAP S/4HANA on Microsoft Azure, to planning and building out high performance computing workloads with SLES on Amazon Web Services. These were accompanied by a number of customers talking about the successes they had seen and the lessons they learnt along the way. We even had our own Mike Friesenegger showing SUSE OpenStack Cloud running on IBM Z mainframes, proving that a private cloud can work almost anywhere, offering benefits to enterprises of all sizes. 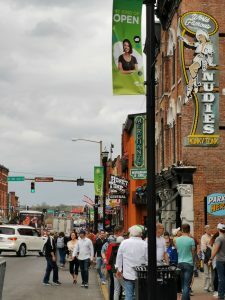 It’s undeniable that the Nashville scene is memorable and lots of fun! If you were able to make it to SUSECON, then I hope that you enjoyed it from the live country singers, whiskey tasting and local food at the conference party on Tuesday nights, to the official SUSE Band appearing at the famous Wild Horse Saloon on Wednesday night, to the awfully tasty food that we were served up throughout the conference at the Renaissance Nashville hotel. If you’re heading to Denver in a few weeks’ time for the inaugural Open Infrastructure Summit, then come along to the SUSE booth to say hello and see how we’ve themed the booth this year. We’ll definitely stand out there, as always! Watch this space for more about the booth and the sessions in Denver.